Steve joined the team in 2015. A prolific racer, we have seen him set personal bests over distances ranging from one mile to 100km. What were your running highlights of 2016? Having entered the ballot for a few years in a row I finally got to run the London Marathon this year after achieving the Good for Age time. The day was extra special because my family traveled up from Devon to cheer me on. The atmosphere was incredible, running over Tower Bridge to see my girlfriend Lorna and my friends was epic! Another highlight of 2016 was running the Zagori Marathon in Greece. The terrain was brutal but the sights made it all worthwhile. What products are you most excited about right now? I am really looking forward to the arrival of the Inov-8 Trail Talon. I own the Race Ultra, which the shoe supersedes, and really like them as they are well cushioned and offer a good amount of grip. I can see it being my go to shoe in training for OCC (a 55km race through the mountains of Chamonix). As I do most of my mileage in the Adidas Adios I’m always excited to see what the latest colour-way will be. Similarly, I’ve had a sneak peek at the new Stance socks for later in the year and can safely say that the #StanceOff will be taken to a whole new level. My Ciele cap collection is coming together nicely and I’m looking forward to seeing new colours and perhaps new styles. They are really soft, breathable and flexible making them comfortable and packable perfect for long runs and commutes. Are there any running blogs or podcasts you’d recommend and why? I enjoy Susie Chan’s blog as she is always taking on crazy races/challenges. I also keep an eye on a few elite ultra-runners like Kilian Jornet, Mike Wardian, Rickey Gates. It’s inspiring to see what races they are tearing up or where they are exploring. If you haven’t seen the Salomon Running videos on YouTube definitely check them out. In terms of podcasts, Shaun Dixon interviews some great athletes on his letsgetrunning podcast. Nikki has been a member of the Run-Fast / Running Works family since 2013, taking care of social media, events, web content and general product / database upkeep. Another shoe geek, Nikki likes to stay up to date with the latest shoe and apparel tech and is happy to talk the hind legs off the metaphorical donkey about it. She loves running and credits a very stubborn personality to being able to remain passionate to the sport despite suffering with asthma and the set back of a lengthy injury. 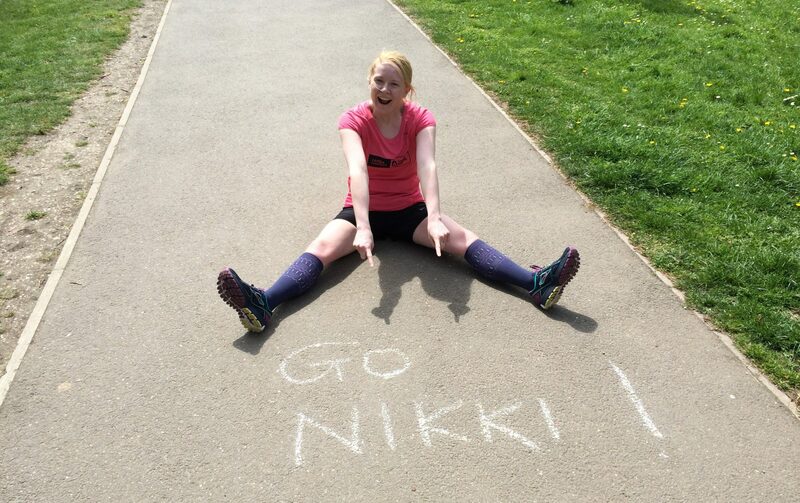 The company’s very own Mary Berry, Nikki is a feeder and her cakes are the talk of running communities all over London. After being out of action for a year through injury the highlight was simply being able to run again. I ticked the Great North Run off of my race bucket list and also discovered the enormous fun to be had at Cross Country, not something I ever thought I’d do. What are your running goals for the coming year? To stay injury free, work on building up my core strength and improve my flexibility and generally get back to my pre-injury fitness. Are there any product launches you're particularly excited about? As someone who has a really bad sock habit I am always excited when new Stance styles land. On have two new (extremely nippy) racing shoes to release, Cloudflash and Cloudrush, so it’ll be great to see how people respond to those. I think it’s safe to say that everyone in the shop is looking forward to finally having Inov-8 apparel on offer. It’s really up there for fit, feel and function; really top notch gear. If you’ve visited The Running Works it’s highly likely you’ve been given some good advice by Mary. 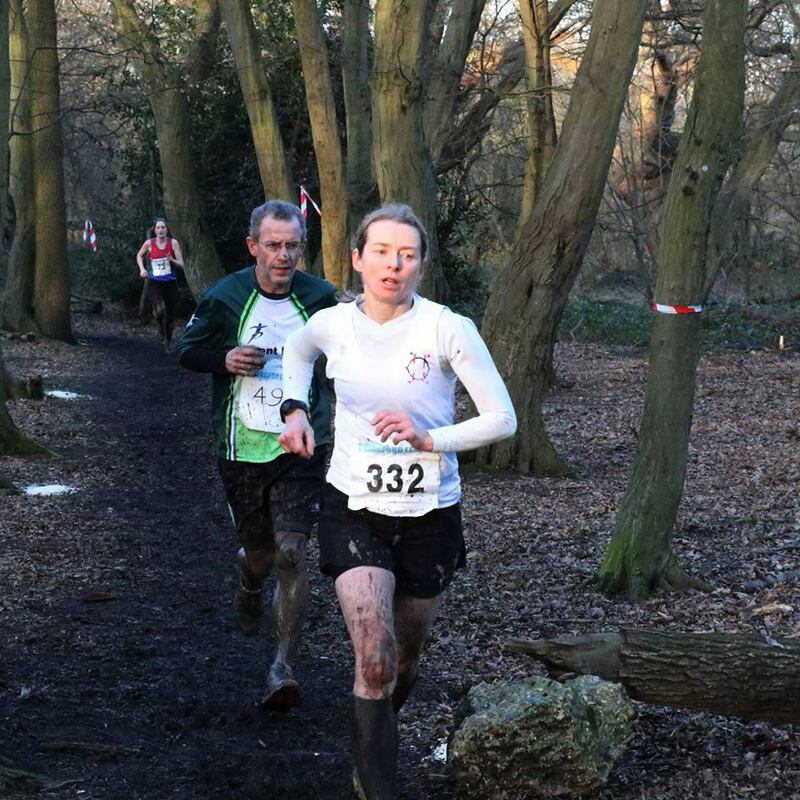 A member of Orion Harriers, Mary competes regularly and is no stranger to track, road and cross-country races; she’s also got a fair few cycling events and a Half Iron Man under her belt! Outside of running Mary loves the theatre and has also been known to bake a mean flapjack. What product launches are you most excited for in Summer & Autumn 2017? I’m loving the Picky Bars as they’ve got a decent range of flavours and the product tastes great. Being natural they don’t leave an artificial aftertaste either. I’m always excited by the new Stance designs (who isn’t?) and especially so for the Star Wars women’s socks coming in August. Inov-8‘s apparel range looked as technical as the shoes when the brand rep came in to show us, so I can’t wait for when that hits our stores, nor for the Trail Talon which is a new shoe to the range. Finally (although I could include many more items) the newly updated OMM Kamleika Race Jacket, which still has the same tech spec but has really stepped up a notch with the flexibility and lightness and will work really well out in the elements. A really impressive update! As a spectator, what was your favourite sporting moment of 2016? My favourite sporting moment was when I went to the Velodrome for the Six Day Series featuring Bradley Wiggins and Mark Cavendish, although they lost on the last day and the last event. Living in the east of London, it’s always great to be in the Velodrome, especially as it’s so accessible to the public. What’s your favourite post run snack / drink / treat? I also try to eat a ‘meal’ of sorts as soon as I can when I get home depending on the time of day e.g. toast and eggs if it’s morning, soup or vegetarian meal if it’s a bit later. 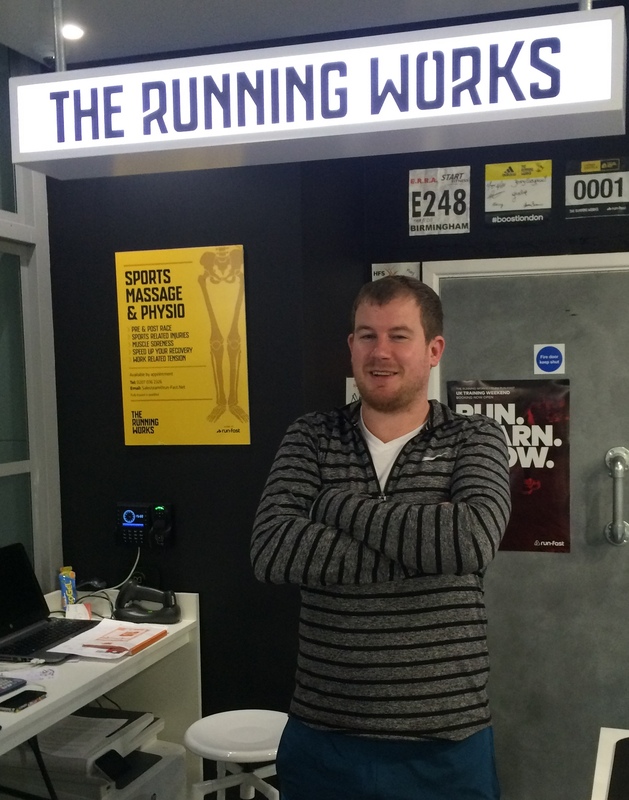 Shop manager David took the helm at The Running Works in 2015. As well as being a solid runner, David is a strong swimmer and has completed the Escape from Alcatraz Triathlon in San Francisco. An avid rugby fan, you are likely to find him motivating his team and telling everyone that everything is ‘decent’. What have been your running highlights of 2016? Watching the growth of the Run Club and how in particular the new runners have flourished. I am going to revise my goals and spend January and February, building my base fitness up. I would dearly love to run a couple of halfs with my partner towards the end of the year. What products are exciting you right now? In footwear I’m really excited with the Saucony Ride 10. The shoe has evolved massively over the last three generations from what was a quite bulky, rigid model to something altogether different. Version 10 looks to be raising the bar even higher for the model and I very much look forward to giving them a spin. In nutrition I think that Picky Bars are a game changer. An energy bar with balanced carbs and protein that actually tastes nice. For apparel, I’m really looking forward to launching Inov-8 apparel in store. It’s highly technical / functional but also looks fantastic and is so comfortable. We’ll be stocking a capsule collection but I think it’ll blow people away. 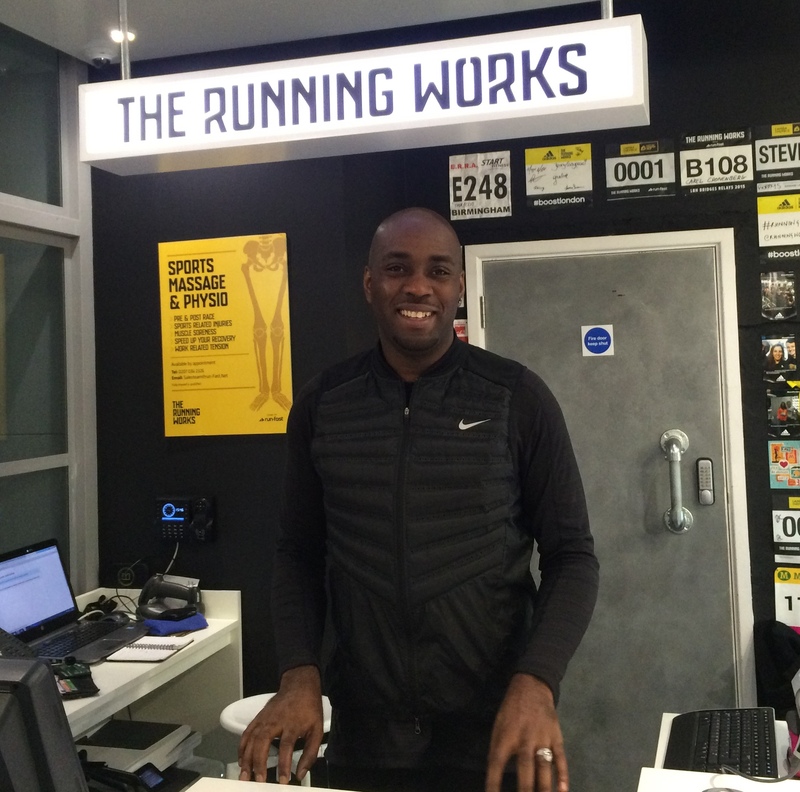 David, who has a long history in visual merchandising, joined The Running Works in 2014. At the time, he was the only non-running member of the team (a keen cyclist) but that has long since changed. 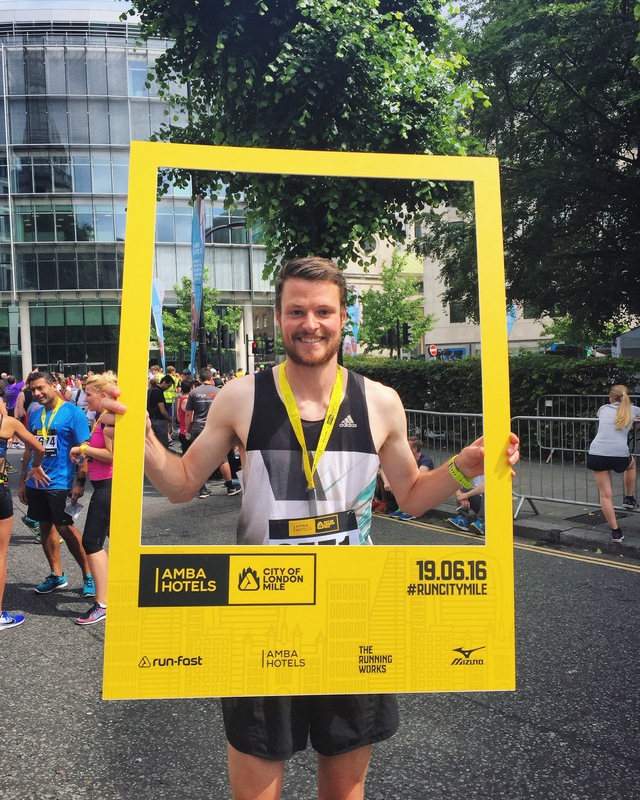 He has now fully succumbed to the running bug and is an ardent support of our beginners group, from which he also graduated in 2016. David has an excellent mental capacity for retaining product knowledge and can chat running kit until the cows come home. Running my first sub-25 minute 5k, in 23.58. Meeting and running with ultra running legend Nicky Spinks was also an awesome experience and one I will never forget. I have felt and seen a significant improvement in my running and my goal for 2017 I would love to add at least one 10k run in my schedule per week. As a spectator, what has been your favourite sporting moment of the past year? Overall it was watching Michael Bisping win the UFC Middleweight Championship. My favourite moment in athletics was Mo’s kick in the final of the Olympic 5km.